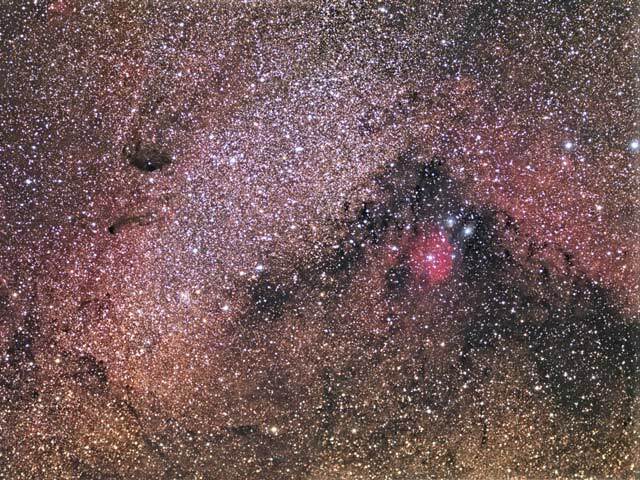 Explanation: Many vast star fields in the plane of our Milky Way Galaxy are rich in clouds of dust, and gas. First and foremost, visible in the above picture are millions of stars, many of which are similar to our Sun. Next huge filaments of dark interstellar dust run across the image and block the light from millions of more stars yet further across our Galaxy. 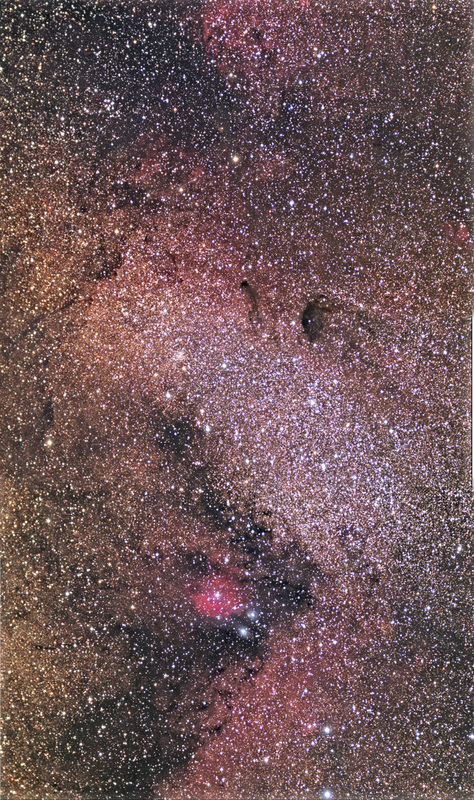 The bright red region on the left is part of the Omega Nebula, an emission nebula of mostly hot hydrogen gas also known as M17. A small bright grouping of stars near the image center is the open cluster M18, while the long bright streak of stars just right of center is M24. On the far right of the image is the picturesque red emission nebula IC 1283 flanked by two blue reflection nebulas NGC 6589 and NGC 6590. These objects are visible with a small telescope toward the constellation of Sagittarius.